While good things can be found just about anywhere when you know how to look (like here and here and here and here and here), positivity was getting hard to find as the year that was 2018 slowly dragged itself to a burned and exhausted conclusion. The past four months saw challenges a plenty. While I don’t want to dwell on last semester, it is important to acknowledge that our campus and state as a whole were buffeted by winds of our own creation and from gales arising as far away as Washington D.C. and Asia’s steppes last year.I know how tough it was for many of you budding scientists to see environmental professionals’ too often (disingenuously and erroneously) cast as villains while too few of our fellow citizens seemed to explore the drivers (e.g. here or here or here or here) of our now-predictable fall firestorm season, oversimplifying and obfuscating the real issues. Even more disappointingly, some of our leaders opted to leave reality and attribute wildfireblamesolely on fantasized wildland policies, threaten to cut off disaster funding for fire victims, and egg-on a quickly-gathering storm of litigation threatening to topple our utilities near and far (regardless of unintendedconsequences). Add to that the normalization of gun violence that repeatedly struck CSUCI and polarization to the point where our leaders can’t even agree to keep the federal government working. These assaults conspired to make the Fall 2018 semester the most difficult in our history. While things were clearly dark last year, ESRM is on track for better things as this semester opens. Don’t let our longest federal government shutdown in history fool you. It will be over soon, paving the way for our classes and capstoners to return to our Santa Rosa Island Research Station and our federal partners to return your emails (wait…Dr. A is talking about returning emails???). 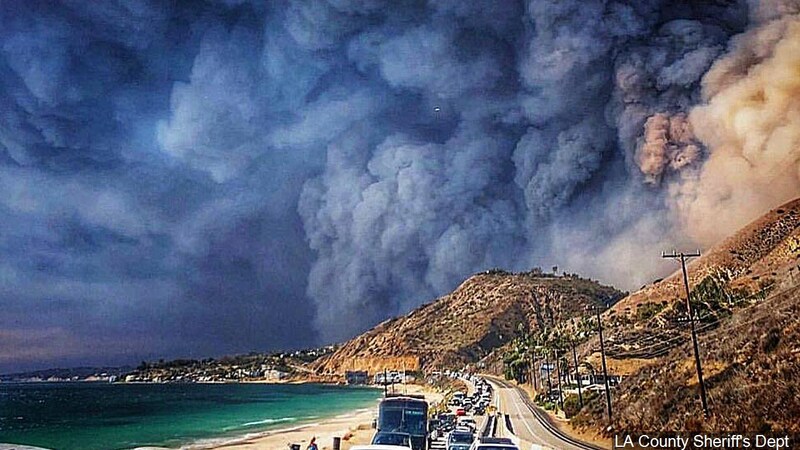 We have a bunch of new opportunities for you from Woolsey Fire monitoring to internships to our next Drone Data Race. 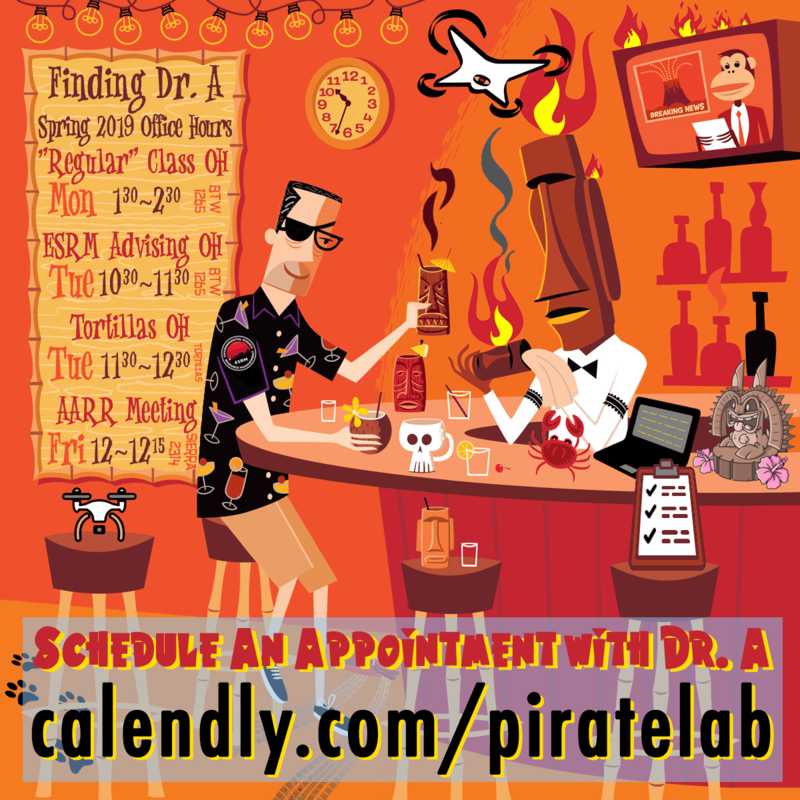 Please come by the office hours of any of your faculty to chat about upcoming opportunities (Dr. A’s ESRM Program Advising Hours are Tuesdays 10:30 to 11:30). The most conspicuous change to ESRM this semester will be our expanded number of faculty gracing our classrooms. 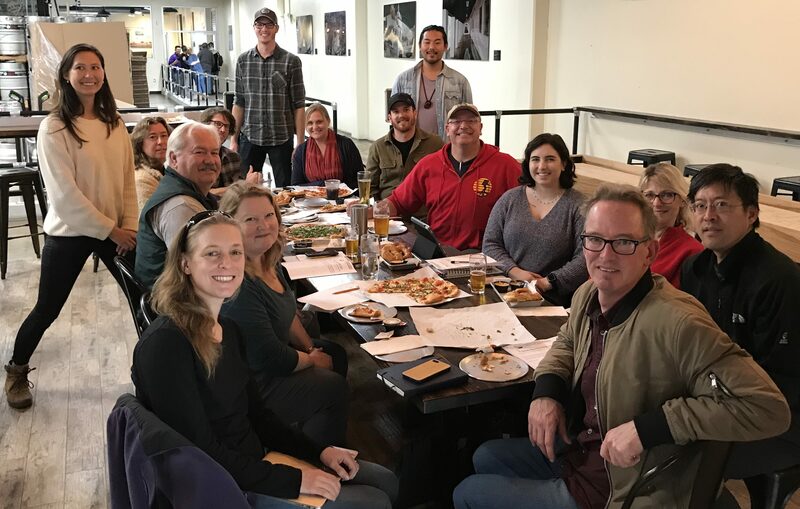 While none of their faces are brand new, we are very happy to welcome back to ESRM a fantastic cadre of educators this spring. ESRM Program Meeting, January 2019.
visit with them without your pesky professors in the room. 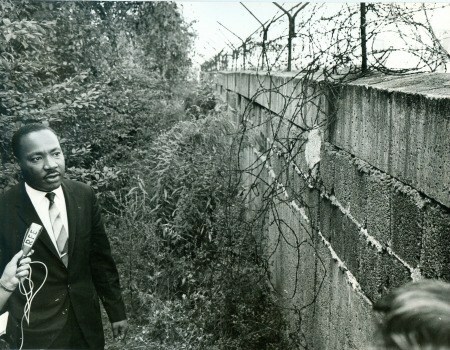 Dr. King at Berlin Wall. Image: National Archive. Be good everyone. Study hard. Stand together. Extend a hand. Save the world. Ready, set, go.